The Jamaat-e-lslami Jammu and Kashmir, which was banned by the government recently, has established strong links with Pakistan's ISI and has been maintaining regular contact with the Pakistan High Commission in New Delhi for promoting secessionism in the state, officials said. The most important member of the JeI (J&K) in the Hurriyat Conference is Syed Ali Shah Geelani, who was at one point of time designated as the 'Amir-e-Jihad' (Head of Jehad) of Jammu and Kashmir by the proscribed organisation. The JeI (J&K) has established strong links with Pakistan's ISI for ensuring logistics support for arming, training and supply of weapons to Kashmiri youths and its leaders continue to maintain regular contact with the Pakistan High Commission in New Delhi for support, a senior government official said. According to the intelligence inputs, the Jel (J&K) has been using its network of schools to spread anti-India feelings among children in the Kashmir Valley and encouraging cadres of the Jel (J&K) youth wing (Jamiat-ul-Tulba) to join 'Jihad' by getting recruited into terrorist outfits. 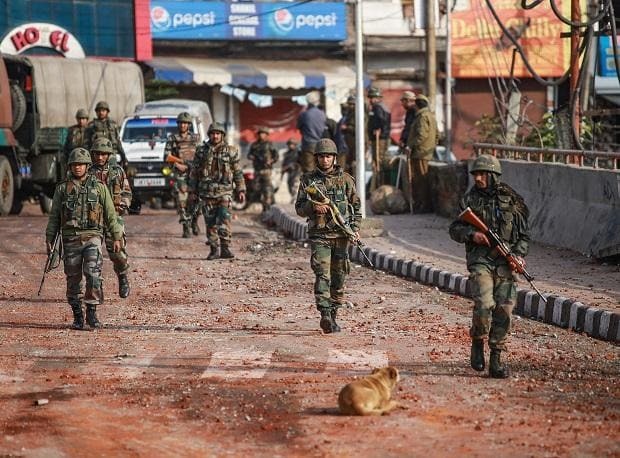 It is no surprise that the pattern of militancy in the Valley has a strong correlation with the spread of the hardline Jel (J&K) activists in the area, the official said. The Jel (J&K) has been utilising the fear generated by Pakistan-based Hizbul Mujahideen and leveraging the financial clouts of its members and trusts under its control to mobilise funds both locally and from abroad and using these assets to consolidate its hold at the grassroot level. This base is used to provide a fertile ground for the operation of militants outfits in the Kashmir Valley including motivation, new recruits, shelters and hideouts, couriers etc. The hardliner elements in Jel have been at the forefront of secessionist activities and were the brain behind the formation of the All Party Hurriyat Conference (APHC) as well as Hizbul Mujahideen, another official said. The JeI (J&K) also has several trusts for running schools to disseminate orthodox Islamic education, has a youth wing and has numerous publications for spreading its fundamentalist ideology. Behind this facade, hardliners within the JeI (J&K) have been involved with militant groups, have actively participated in promotion of secessionist activities, have been questioning the finality of the Jammu and Kashmir's accession to India and have been "striving for merger of the state with Pakistan", the official said. The group has extensive foreign links through which it secures funding and promotes its objectives. It has close links with Jel-Pakistan, Jel-POK and Jel-Bangladesh, where several leaders have faced death penalty for anti-national activities. It has also been promoting sectarian tensions in the Valley by mobilizing opinion against the Hanfi-Aithkadi sects. Gilani, the JeI (J&K) representative in the Hurriyat, has been continuously supporting militancy in Kashmir and even during the Kargil War, he had termed the intruders as "freedom fighters". The JeI (J&K) was formed in 1945 as a chapter of the Jamaat-e-Islami Hind and separated in 1953 due to differences over political ideology with the parent body. It is opposed to participating in the electoral process and has been pursuing the agenda of setting up an independent theocratic Islamic State by destabilising the government established by law. The outfit was banned twice in the past due to its activities. The first time in 1975 for two years by the Jammu and Kashmir government and the second time in April 1990 for three years by the Centre, when Mufti Mohammad Sayeed was the Union home minister. The ban continued till December, 1993. The JeI (J&K) was banned again by the central government on February 28.